Who would have thought that the humble airline safety video would become a filmmaking art form? Recently we mentioned our love for America Airline’s awesome safety video, incidentally, directed by the same guy who did Jackass. In the comments section of that post, someone told us about Air New Zealand’s epic Hobbit-themed video, which I’ve watched 637 times that night. This sent me down a rabbit hole of airline safety videos. I particularly liked British Airways’, modeled after Saturday Night Live’s celebrity audition spoofs, and featuring cameos from the likes of Gordon Ramsay, Ian McKellen, Thandie Newton, and Rowan Atkinson. On the success of this video, and has been viewed 11 million times, British Airways produced a sequel, with even more big names—Oscar winners Michael Caine and Olivia Colman, to name two. Did you also know Turkish Airlines’ safety video stars the LEGO movie cast? Virgin America’s (some would say they started the trend of high-production safety videos) is one big Broadway dance number? 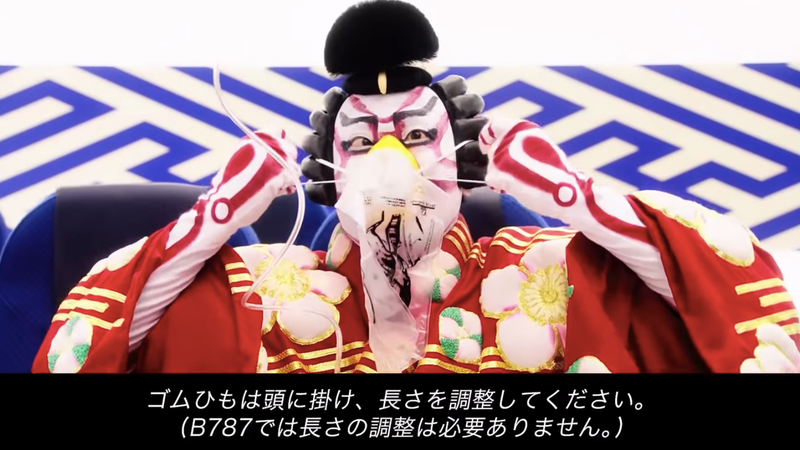 That Air Nippon Airways’ is Kabuki-themed? That Air France’s is totally adorbs?